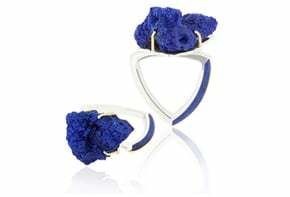 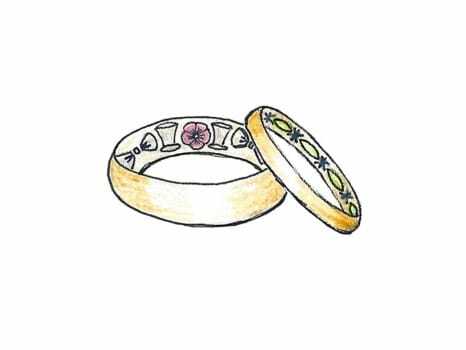 Lila’s ‘Posy Bands’, represent our first wedding band collection and are inspired by English betrothal rings of the 16th & 17th centuries. 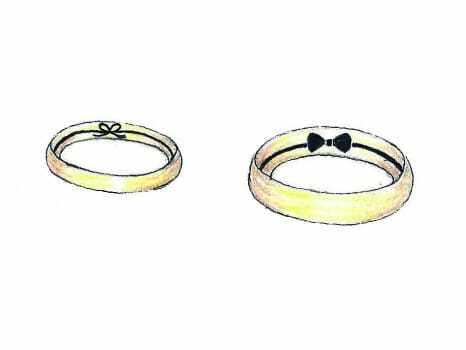 Inscribed with words and motifs symbolizing the bond between partners, these rings propose a fresh take on this old tradition and a way to capture the fleeting moments of your wedding day. 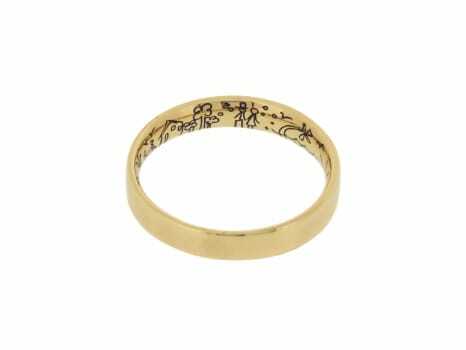 Crafted exclusively in Fairtrade gold, the specially engraved and enamelled designs feature whimsical bow-ties and garlands, top hats and ribbons and can also be custom-designed with details of your choice. 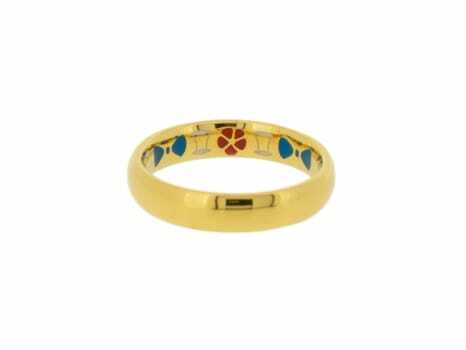 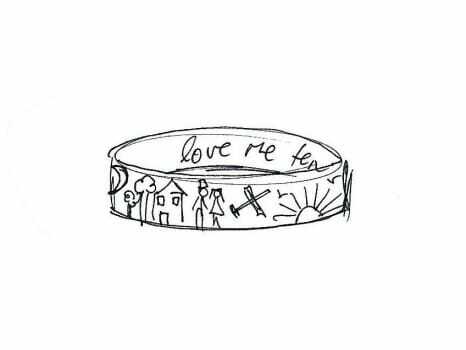 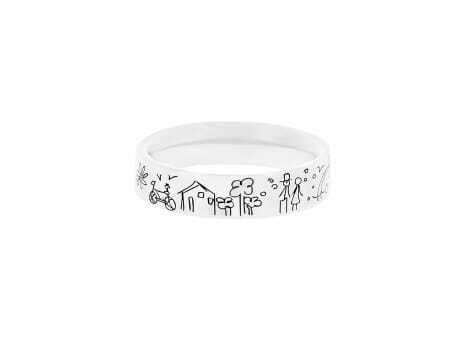 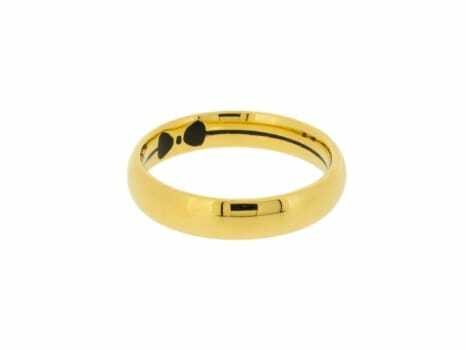 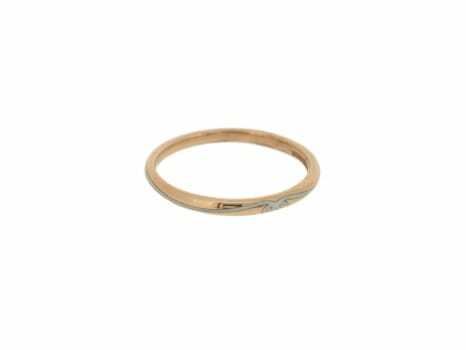 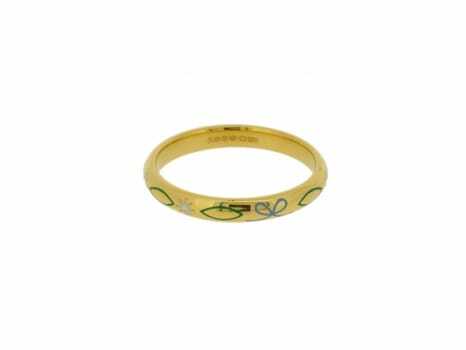 The third design in the collection depicts a story of one couple’s life together from courtship to marriage in a touchingly naïve illustration encircling the band. 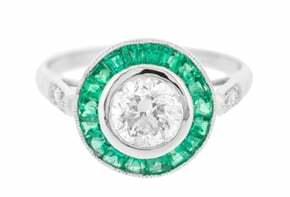 Please ask in store for more details and a quote.